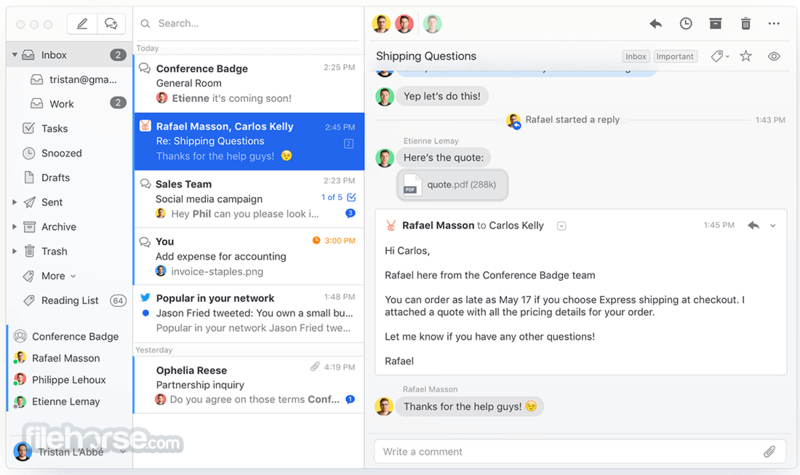 Meet the one app for team email and chat for Windows! Download the latest Missive app for Windows PC, the only work management app merging email, chat and tasks! As foreign as chat is to email, mixing them unleashes unforeseen possibilities. 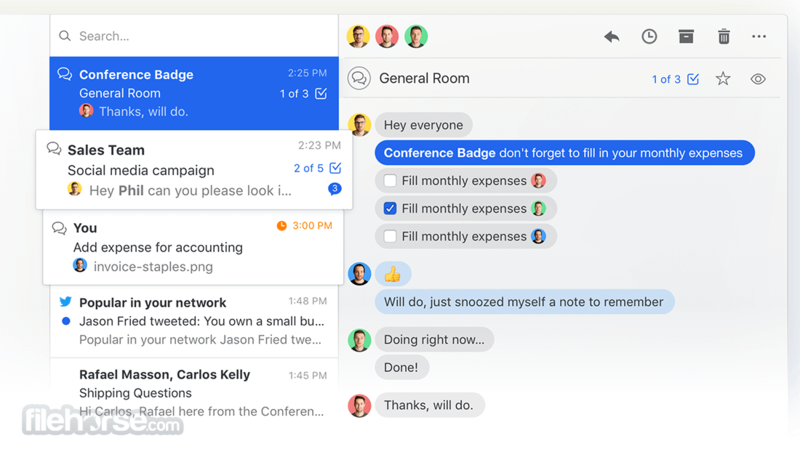 Missive is the one app you’ll ever need to manage your work life. Try Missive today! Email is too slow for internal discussions, to fix this we brought threaded chats to your inbox. Each has a distinct subject and just the right participants. With such scoped conversations, no topic gets buried. This leads to a truly asynchronous workflow and avoids the fear of missing out you get in other chat apps. 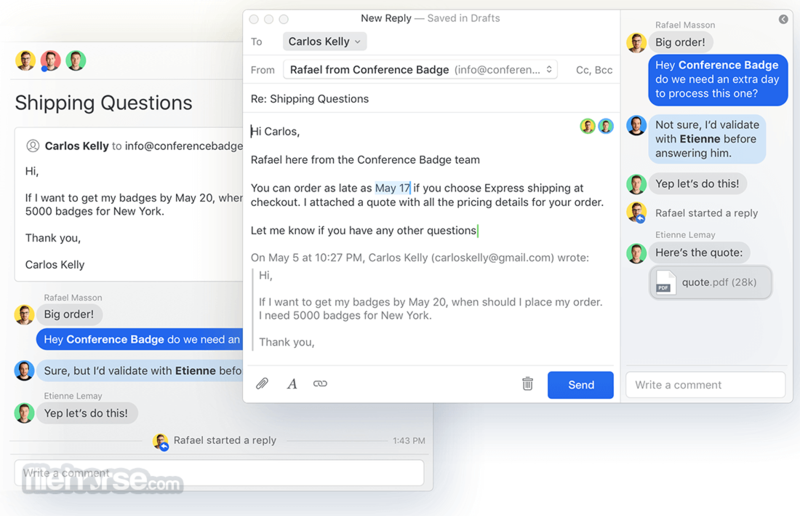 Lastly, we offer you the same tools to process and manage chats alongside emails. It will become second nature for you to archive and snooze chats. Download latest version of Missive app for Windows PC today! Note: In demo version, 1 month history (You will still have access to all your email history on Gmail).